Oh, hello there blog! Long time, no see. I have largely ignored blog posting since we moved into our new house in January. It's really awesome, especially compared to our old place. I'll post about it some other time though. 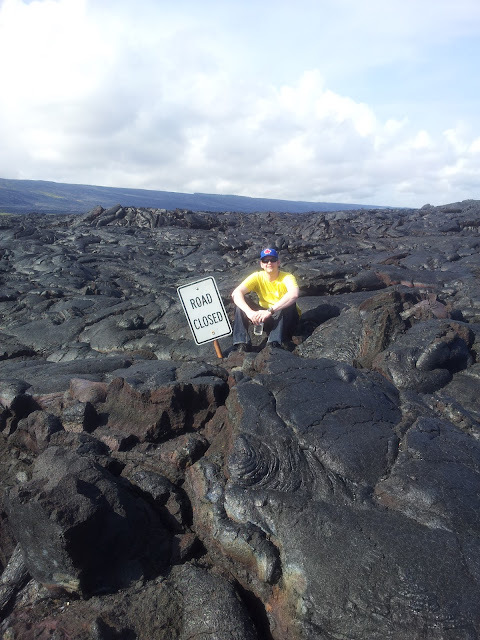 Lava flow covering the road in Volcanoes National Park, Hawaii. 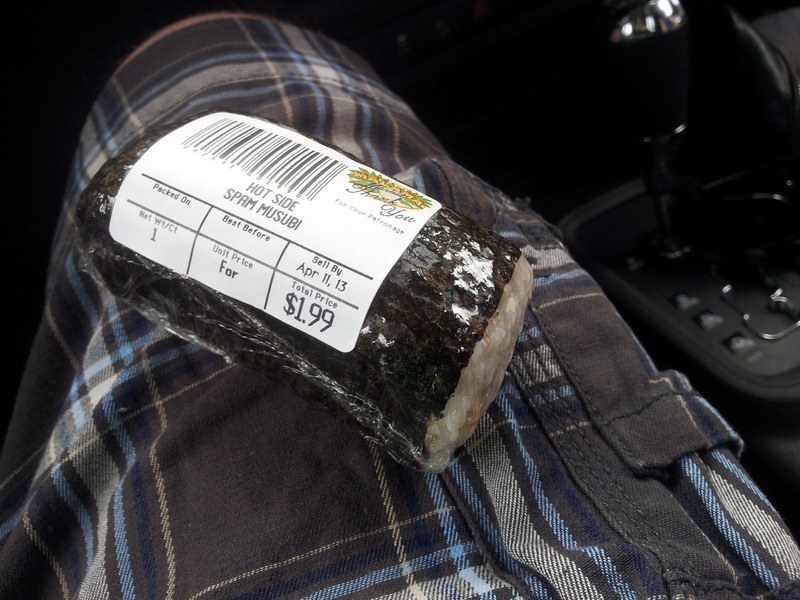 There is an awesome, awesome treat that can be found in Hawaii's gas stations and grocery stores: the SPAM musubi. Here's one from a grocery store. 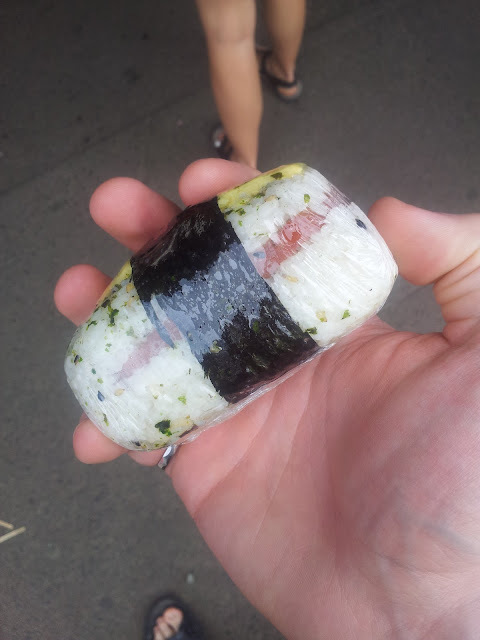 It's a fried piece of spam, surrounded in non-vinegared sushi rice, wrapped in nori (seaweed paper stuff). You may be raising an eyebrow right now, but it's extremely tasty! Think about it: salty ham flavour, rice for bulk, and nori for that "umami" savoury flavour. If you are ever in Hawaii, I urge you to seek out this local treat and try it! If for no other reason to tell your friends you tried it. But I am pretty sure you'll like it! One of these days I'm going to make some... so beware if you get an invitation over!